You are bidding on a Lincoln International MUMMY that I have had since childhood. He is in a played with condition and was my favourite figure for many years. I added extra blood when I was a kid with a red felt tip pen for a bit of extra gore. He's ultra rare as you already know if your viewing this item. Easily restorable to his former glory for someone who know's what they are doing. Here it is: your chance to own an unopened mailer box set of the Lincoln International Monster Dolls including the victim doll! As you may already know, I have previously sold this same set in an opened box on ebay: item # 190728647084; however, now is your chance to have a original factory sealed box UNOPENED! You will be very pleased with this 1970s gem of a toy. If you collect Lincoln toys, then you need this. Monster lovers are already freaking out. ! !!!! Halloween is coming soon!!!! For those who enjoy basa BASA LEDY ledy CIPSA cipsa ENSUEÑO ensueńo PALITOY palitoy AHI ahi POPY popy AND tomland TOMLAND, then stay tuned for more Nayrbgo sales. This comes from a smoke-free home. Make me a groovie ghoulie offer and it's yours!!!! Vintage Lincoln International New Zealand 8inch monster action figure. Similar to Mego figures. Frankenstein. LINCOLN 1974 incised on his neck. The neck of his lime green top may have discolored? Excellent+ condition. Uber rare! Lincoln Monsters are far harder to find than the AHI Azrak Hamway Inc or Mego Monsters. Our last photo shows the four Lincoln International figures we have listed this week. This auction is for one figure only. 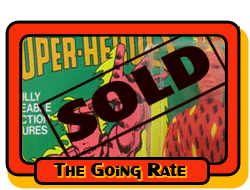 Please note, this auction has been relisted after it was removed by eBay for having Mego in the title. Our apologies to any inconvenience to bidders. Please note, the new auction end day. Here we offer a vintage Lincoln International Mummy Monster 8" action figure. 100% ALL ORIGINAL Lincoln from head to toe, guaranteed. Very good played with condition as seen in the photos and very rare to find in ANY condition. Original Lincoln head (US version) is very clean with only a few light paint rubs and a faint green spot on the base of his chin. Vintage Lincoln Mummy body is tight and completely intact. Original Lincoln Mummy wrap (dark bandage version) is mostly intact with great looking blood splotches. Appears to be in good condition considering it's 40 years old. Lincoln International Mummy, 100% ALL ORIGINAL 1970's. The Wolfman. LINCOLN 1974 incised on his neck. Something rattling inside the figure. Near mint condition. Uber rare! The Hunchback of Notre Dame. LINCOLN 1975 incised on his neck. He has a jaunty red with white dots sack on his back under his robes to simulate his hunch back. Something rattling inside the figure. Woolen boots frayed at tops. Excellent-near mint condition. Uber rare! OK Monster collectors, you want RARE, here ya go…. I’m Offering here a MINT on Card original Lincoln International Universal Monster COUNT DRACULA “8 figure. What makes it so rare , it comes w the original Montgomery Ward BOX it was shipped in back in 1975. The card and figure are in MINT condition w just the slightest tiny tear on the lower right side. Count Dracula’s card features an open coffin, spider webs and a skeleton corpse. Lincolns 60s like crude artwork ranks it as one of the Greatest monster graphics ever. The card is slightly bent so it could fit in the original Wards shipping box. Id still call the card and the shipping box a solid C9.